The unique Belogradchik rocks seem built into the fortress. 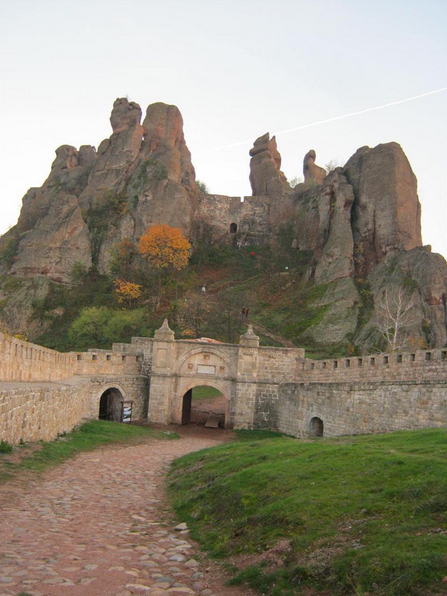 Again there, over the city of Belogradchik is one of the best preserved fortresses in Bulgaria – Kaleto. It was built when that part of today’s Bulgaria used to be in the territory of the Roman Empire. 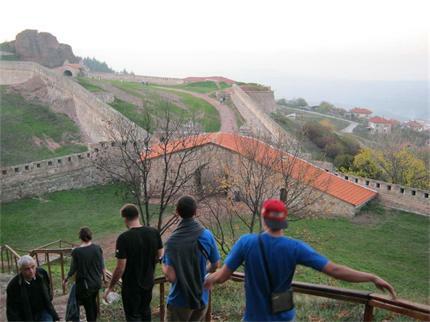 In XIV century Tsar Ivan Sratsimir expanded the fort and built fortified garrisons in front of the nearby rock massifs. Every pebble here contains stories which the local tour guides are happy to tell you all day long. The view from the top of the Kale is incredible and the genuine sense of pride that this place is a Bulgarian territory shall probably overtake even the worst nihilist. From the top of the Kale the entire area appears in miniature. “Hundreds of tourists – Bulgarians and foreigners, who have came over the years, have always been impressed by our sightseeings. Many of them come back again or send their friends to visit. The most active are the cyclists – they come from all over the world. And they like Bulgaria enormously, the local guy from Belogradchik Radi shares. The young man runs a family inn named after one of the rocks – “Madonna“, in Falkovets neighborhood at some 14 km from Belogradchik. 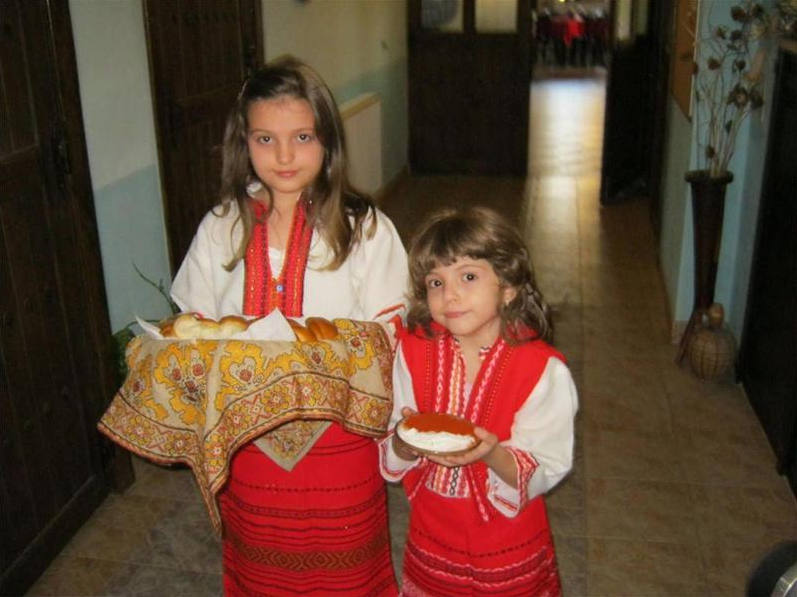 The entire family is engaged with the accommodation, the feeding and the entertainment for the tourists – the father, the mother, even the children – two young fairies in red national costumes greet us with bread and salt. However, Radi does not complain of hard work. Even the youngest in the family are already trained how to welcome tourists – with bread and salt. “Before the crisis, the 7-decare yard of the inn was full with the tourists’ caravans and the rooms were all booked. Now, the situation is quite different. We expected that after the bridge at Vidin-Calafat was put in operation, the tourist flow would increase but the crisis put its impact. That’s why we rely on the natural attractions – the Belogradchik rocks, the fortress Kaleto, the Magura cave – Radi adds. And he goes on praising his region – everybody can have some fun here – caving, mountaineering, hunting, fishing, bike riding, kayaking and rafting – whatever the choice is. Furthermore, the delicious food, the Torlak delis, the local wines and brandies are also not to be missed, the young inn-keeper winks.